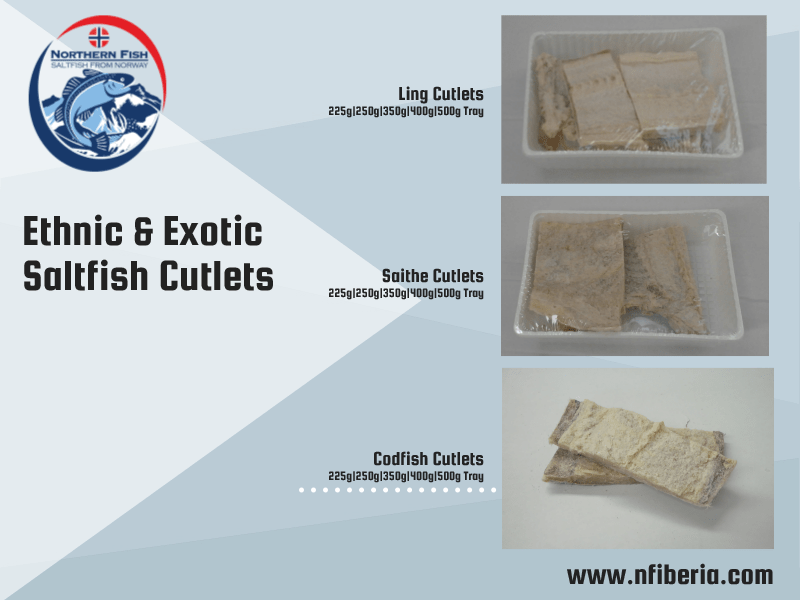 Northern Fish cutlets are packed in very resistant poly trays, easy to place and manage in organized shop floors. Fish cutlets can be of several species, the regular range includes: cod fish cutlets, ling cutlets, saithe cutlets, tusk cutlets and haddock cutlets. Northern Fish cutlets are easy and tasty! Fish cutlets packed in poly trays are premium products, made from excellent quality dried salt fish. Due to the vast range of sizes, our packaging is made with 225g to 500g, production is made to order. 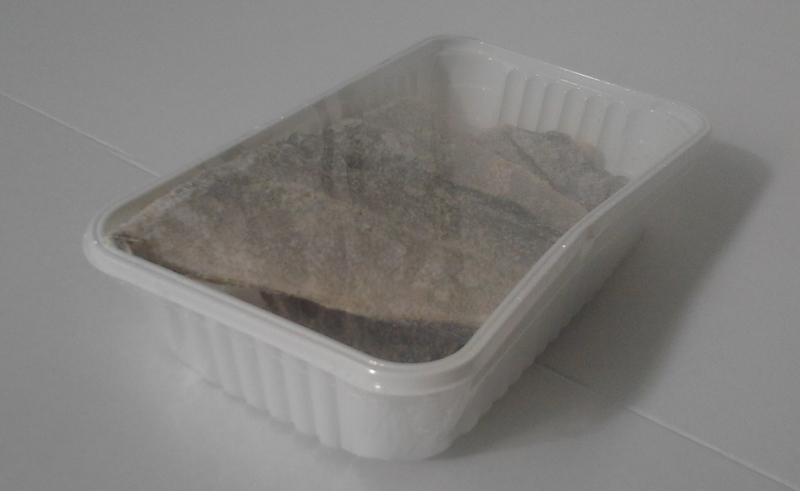 Standard sizes available: 300g and 500g trays. Made to order cutlet trays are an easy way to get exactly what you need. Packing and compostition is made to customers requirements. Sharing with our customers our product know-how insures a long term win-win relationship. Supermarkets may have difficulty in dealing with whole salt fish in the shop, cutlets is an easy, clean, hygenic solution to offer traditional saltfish products. Cutting the whole Fish down to cutlets may be a time consuming effort, therefore our cutlet assortment improves our product range and makes our pre-cut products easy to use. Soaking instructions are applicable to all salted products, therefore always keep this in mind. Northern Fish cutlets are well dried and salted, therefore make sure soaking is made accordingly. In the UK it is often we see fish cutlets packed in trays, however we may also find cutlets packed in bags or in shrink plastic wrap. We can offer all options to our clients. OEM product conception is easy for customers requiring own brand or specific details, Northern Fish helps you make your product a reality. Please contact us with additional details. Northern Fish branded products are made from the finest quality wild caught fresh Norwegian fish. Really well dried and salted, making our cutlets not only taste but also look very appealing on the supermarket racks. For further information you may visist our ethnic and exotic product selection we have for you on our website or contact us directly.